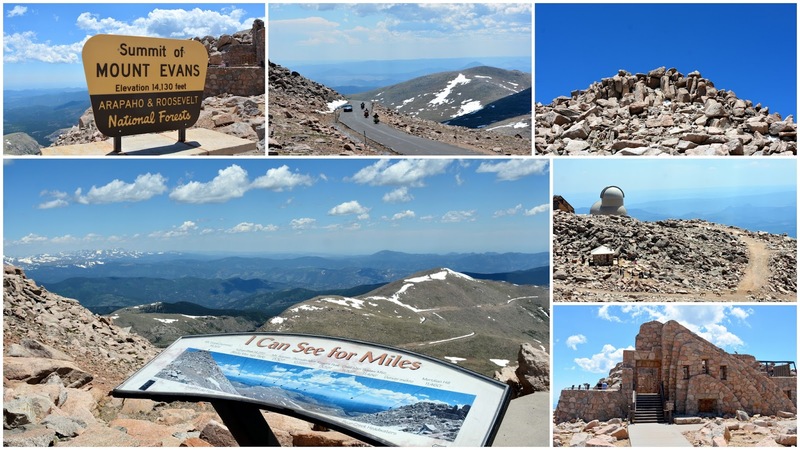 Mt Evans--One of My Favorite Places In Colorado! Every June, around the first day of summer, my husband and I anxiously await word that the road leading to the summit of Mt. Evans is re-opened for the season. As soon as we can, we take a drive up this beautiful mountain to see its sights and renew our spirits after a long winter. We first visited Mt Evans the year we moved to Colorado--to see my post about that click here. My husband and I found the drive up a little scary then, but happily, now my husband is an experienced mountain driver and I leave that task to him while I take photos! Mt, Evans is not Colorado's highest mountain--that honor belongs to Mt Elbert at 14,400-foot altitude (4401.2 m), but at 14,260 feet altitude (4,346.5 m) it is the highest mountain in the Denver area. It also contains North America's Highest Auto Road. 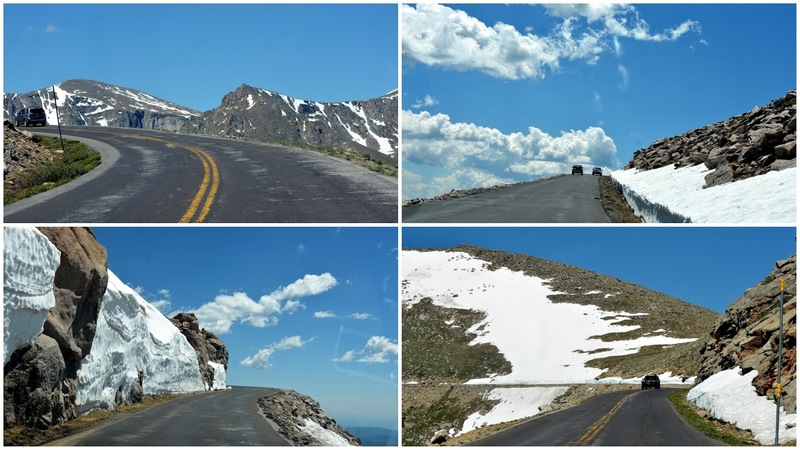 We made our trip up this season on June 21, and there was still quite a bit of snow along the drive. Click on all photos and photo collages in this post to enlarge them for easier viewing. The views from the parking area are spectacular--we could see for many miles! Mountain range upon mountain range looms in the distance. This view was looking toward the Denver area. 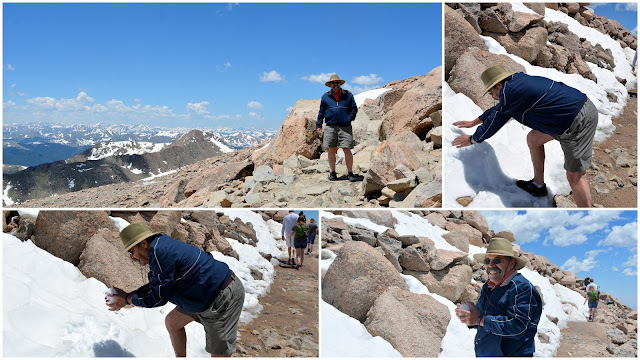 As we started to walk the switchback trail to reach the true summit my husband could not resist making a few snowballs! The temperature in Denver the day of our drive up Mt Evans was over 90 degrees, but at the mountain summit, it was only 55 degrees. We found that the trail up to the top was blocked by snow. We saw some people scurrying over the boulders to climb up, but we did not want to take a chance to try doing that. It might be dangerously slippery going up and down that way, and we also remembered a person was severely injured this past spring when a boulder moved and fell on her on North Table Mountain and crushed her legs. 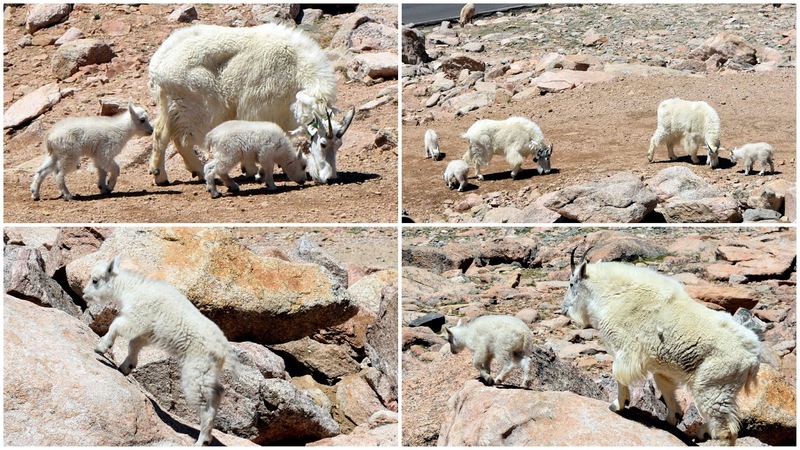 The Mountain Goats are alpine and sub-alpine species and are well protected by their thick double layered woolly white coats. 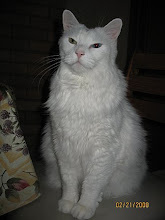 If you visit later in the season you will see them molting the extra layer of fur. They can withstand temperatures at minus 50 F (minus 46 C) and 100 hundred miles an hour wind! I especially love watching the newborn goat kids! We began to drive down Mt Evans and stopped at a pullout slightly below the parking area so that I could take this photo of 14,065 foot (4287 m) Mt Bierstadt in the distance. 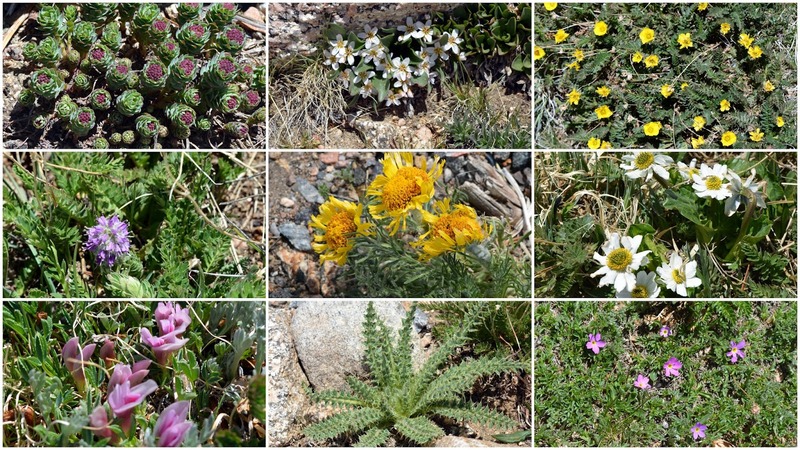 I also saw many delightful alpine flowers beginning to bloom here! These Alpine Forget-Me-Nots wildflowers were so teeny tiny and so beautiful! Click on to enlarge to read the sign. We went further down and stopped at Summit Lake which is a natural formed glacial lake at 12,836 feet altitude (3,912). Summit Lake Park is the highest Park in the country and Denver's only treeless park. I love walking around the trails in this area. On our visit on June 21, much of the lake was still frozen. ...I saw wildflowers in bloom right next to the icy cold water! 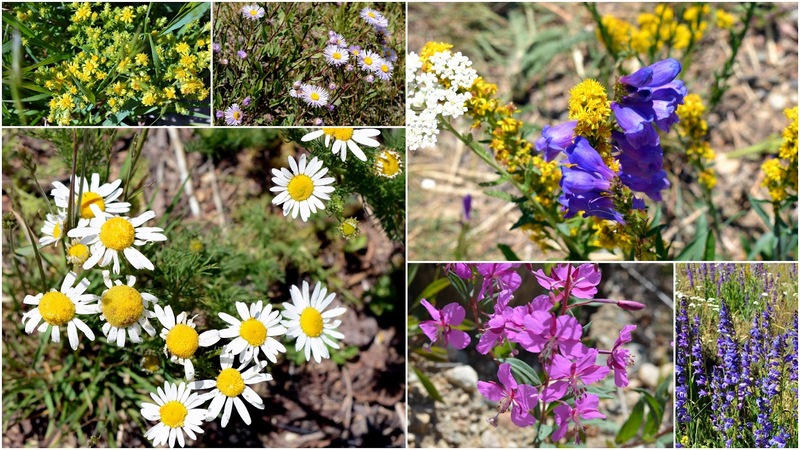 The wildflowers along the tundra trails of Summit Lake are prolific, and many are varieties that are not seen anywhere else outside the Arctic Circle! The "Alpine Spring Beauty"--Claytona Megarhiza-is one of my favorites. It is from the purslane family. It can have a tap root that is many feet deep in order for it to get the water and nutrients it needs. After leaving Summit Lake we continued to drive down to a lower elevation of Mt Evans, but we were still above the tree line. We were approaching another favorite area, Mt. Goliath, where the trees are all "krummholz," which means twisted, bent deformed. The trees at sub-alpine weather are exposed to severe snow, wind and freezing temperatures, and must be very strong to survive. In my next blog post, I'll show the Bristlecone Pine trees in this area that are over 1,600 years old! It is never too late, and one is never too old, to learn new things. My husband and I may be in our 60's, and never camped in our lives, but that did not stop us from deciding that it was about time we joined our daughter, son-in-law, and granddaughter for at least one day and night during their camping vacation. 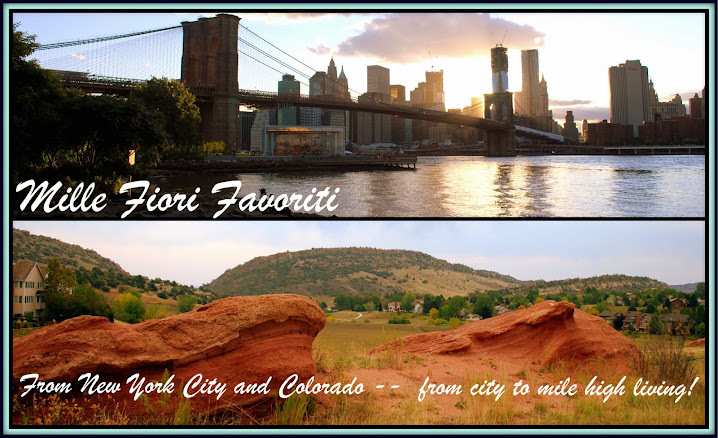 We wanted to challenge our "lifelong city dwelling selves" to an outdoor, under the stars adventure, even though we were slightly nervous about bears and possible lightning and thunderstorms. We drove west to central Colorado, and Grand County, enjoying the scenic views as we drove over Berthoud Pass, which crosses the Continental Divide at 11,307 feet (3446 m). Even in July, there was some snow at the summit of the mountains. 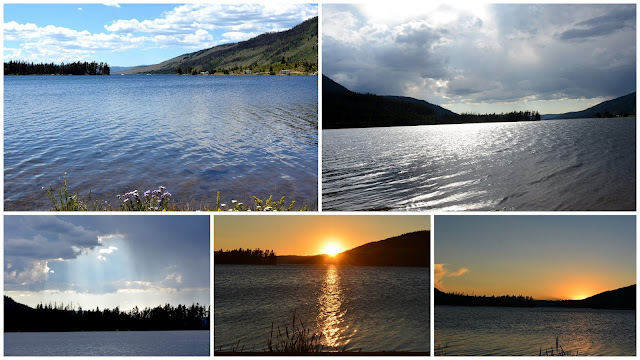 ...and soon reached Lake Granby, the third largest body of water in the state. It is popular for trout and salmon fishing, and ice fishing in winter. At this point we turned off toward our daughter's family campsite, driving on a long winding dirt road. We could see some of the high mountains in Rocky Mountain National Park in the distance. We finally arrived at the campsite! Our daughter and family had been there three days already, and we were joining them for their last day and night. Their tent was very large and comfortable, plus they had a nearby sun shade addition to sit under. Sadly this camp's pine trees had been hit in prior years by the mountain pine beetle epidemic that was caused by warming trends and extended drought. The forest service cut down many dead pine trees around the campsites and replanted new healthy trees that will now take many years to grow and provide shade again. Their campsite, however, faced this beautiful view! 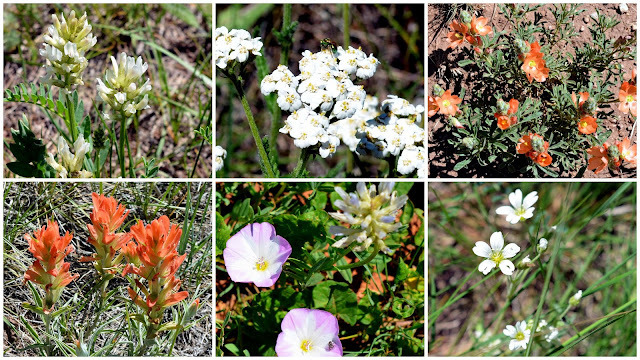 There were also many beautiful wildflowers surrounding the campsite. 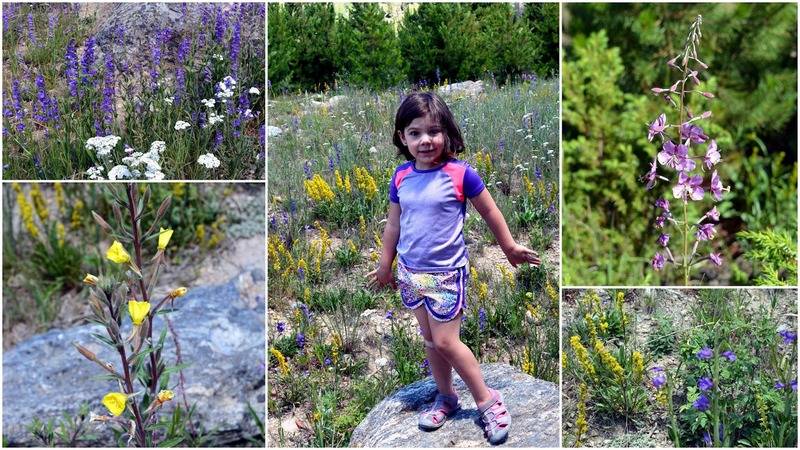 I had a good time photographing as many varieties of wildflowers as I saw, with the help of my granddaughter. 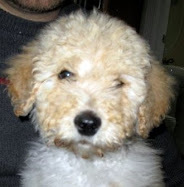 All photos will enlarge when clicked on, for easier viewing. The flowers were all exquisite! 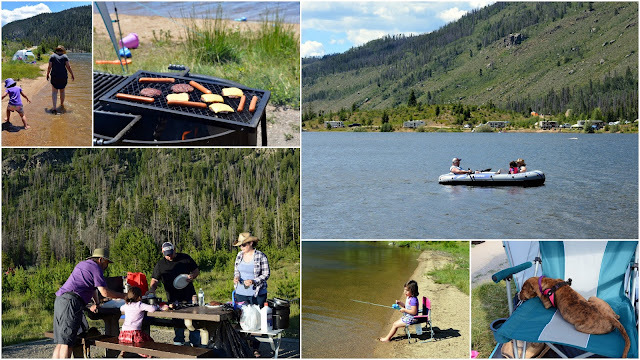 Our hours at the campsite were spent enjoying each other's company, playing by the lakeshore, fishing, going for boat rides and barbecuing lunch and dinner in the fire pit. Our granddaughter was so excited to show us how to camp! We also enjoyed just relaxing and watching the weather and sky change during the day. The sunset was magnificent! The next morning, as I headed down the hill from the restroom, I took this photo of the campsite, knowing we would soon have to break it down and pack it all away. 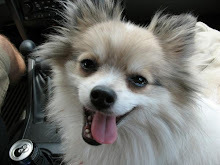 Our first camping experience was so pleasant that now we are excited to go again. 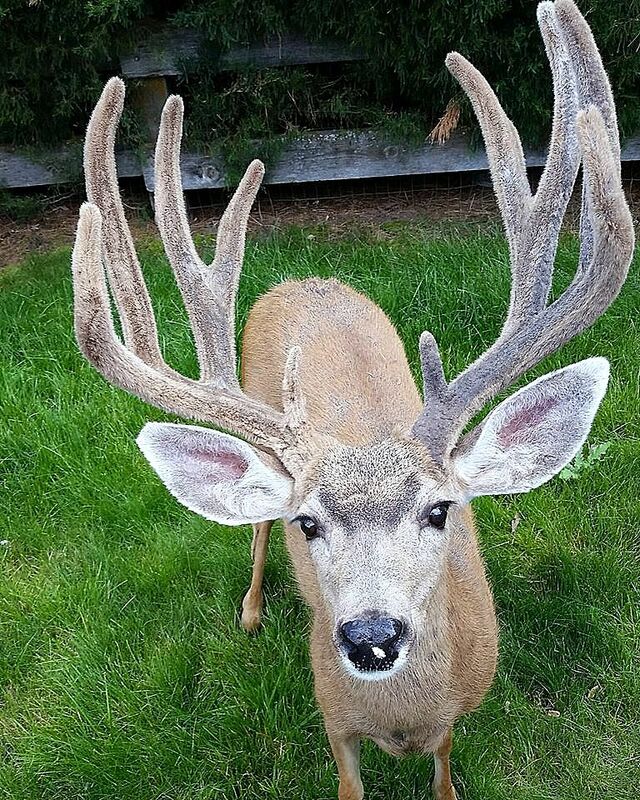 It is hard not to want to enjoy the great outdoors when we live in such a beautiful state! Living in the great state of Colorado gives residents many wonderful areas to camp in. Colorado Parks and Wildlife manages over 4,000 campsites and the USDA Forest Service manages 53 multisite campgrounds in Colorado. 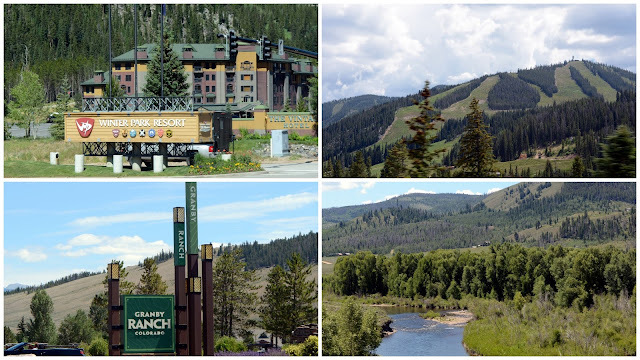 For a comprehensive guide to campgrounds check out this Colorado Tourism link. 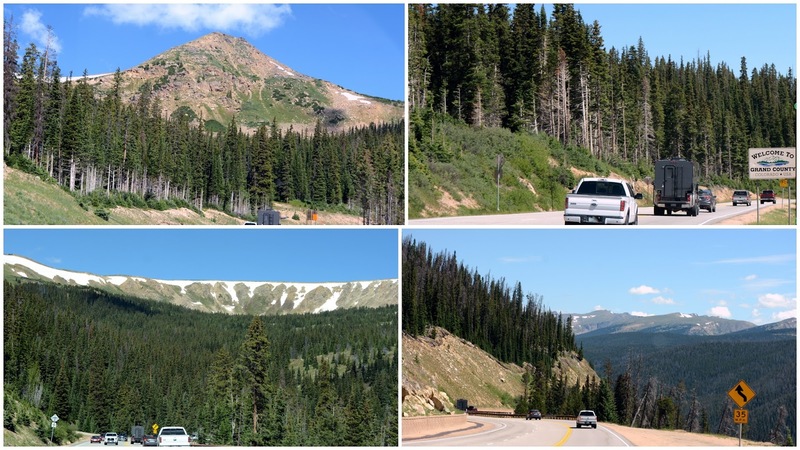 After my husband and I said goodbye to our daughter and family we headed west again, towards the western part of Rocky Mountain National Park. We stopped briefly at the historic Grand Lake Lodge outside the park. 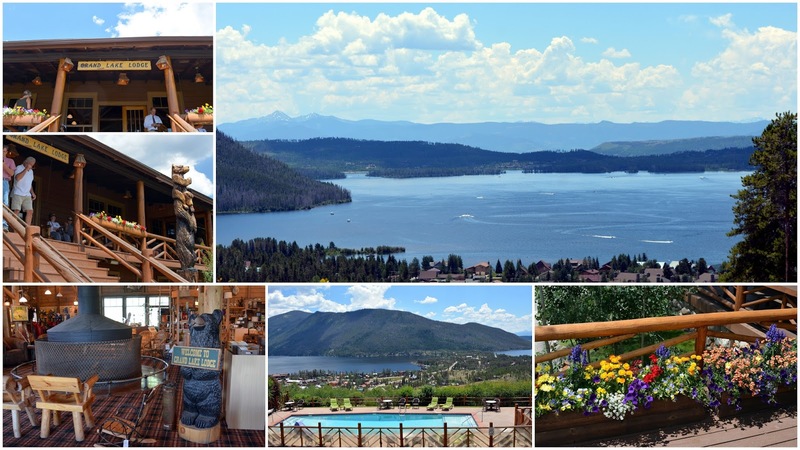 It had a fabulous view of Grand Lake and a wonderful rustic western charm. When we reached the entrance of Rocky Mountain National Park I was able to complete my mission of buying my own lifetime ""America the Beautiful National Parks and Federal Recreational Lands Senior Pass. My husband bought his when he reached the age of 62, and I decided I needed my own too, as soon the cost of the pass will be raised on August 28, 2017, from $10 to $80. It will still be a bargain at that new price, as it will enable a holder with card and ID to enter any National Park in the US for free over the rest of their lifetime. Our National Parks are our national treasures--59 National Parks and 417 Federal National Recreational Land sites for all to enjoy! How many National Parks have you visited? I'm very fortunate to live in a community that has access to many trails. Some are public and some are private for the use of residents only. I've blogged about the Cathy Johnson trail before--click here to read that post--which is a public trail very close to our community. In fact, while I was walking on the Cathy Johnson trail recently, I took this photo looking back towards the beginning of the trail, and you can see a portion of our neighborhood to the left. Please click on the photo to enlarge it to get a better view. It gives you an idea of how we live at over 6,000 feet elevation, but we are in a valley between the Dakota Hogback and Colorado Front Range foothills. I love to take hikes like this in late spring and early summer, when many wildflowers are in bloom. This time my husband and I decided to take an off shoot of the Cathy Johnson Trail, called the Columbine Trail, that crosses over a smaller Lyons Hogback to the west. 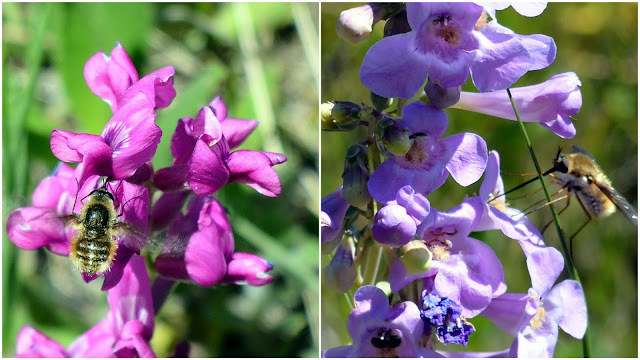 Most of Colorado has been arid this summer, and at times we've had above normal temperatures, yet hardy wildflowers continued to share their beauty. 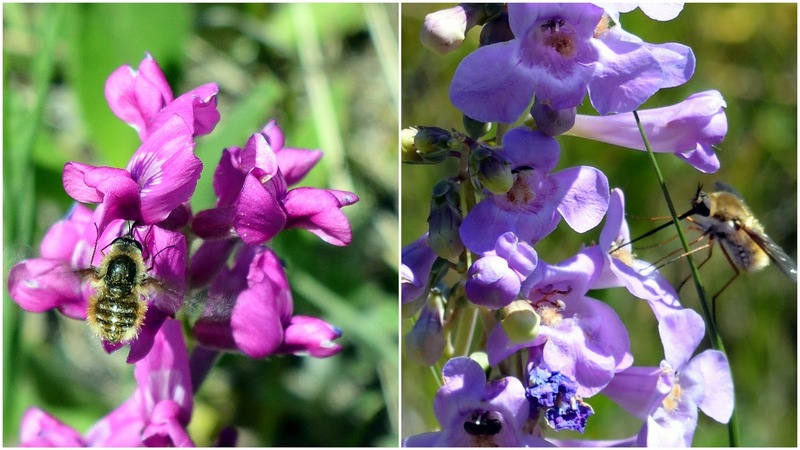 As soon as I began hiking the trail these flowers were the first ones that I saw. "A Century ago, black tailed prairie dogs numbered in the hundreds of millions and were possibly the most abundant mammal in North America. Colorado officials reckon prairie dogs inhabited 7 million acres in the state--an area 14 times larger than prairie dogs inhabit today. But plague, urban development, poisoning. roads and hunting, here and around the Great Plains, reduced prairie dogs by 95% Federal biologists estimate 10 to 20 million have survived." ...where we happily saw many bees and insects at work! 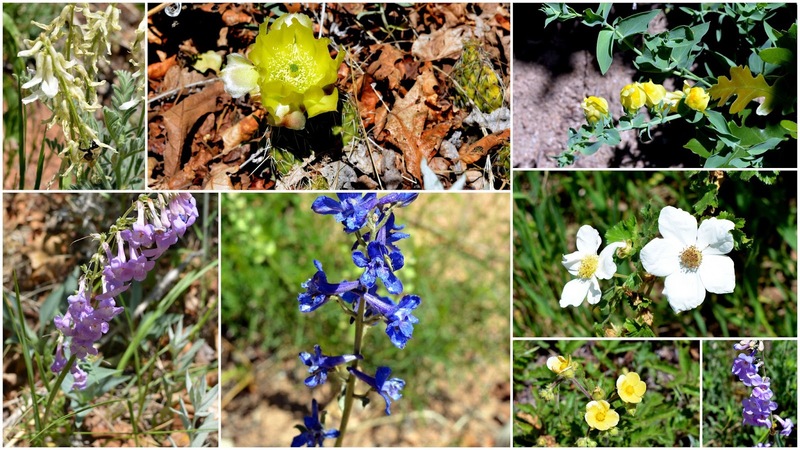 There were many wildflowers on this trail! There were also a large amount of scrub oak trees. ....so even this small amount of shade was nice. 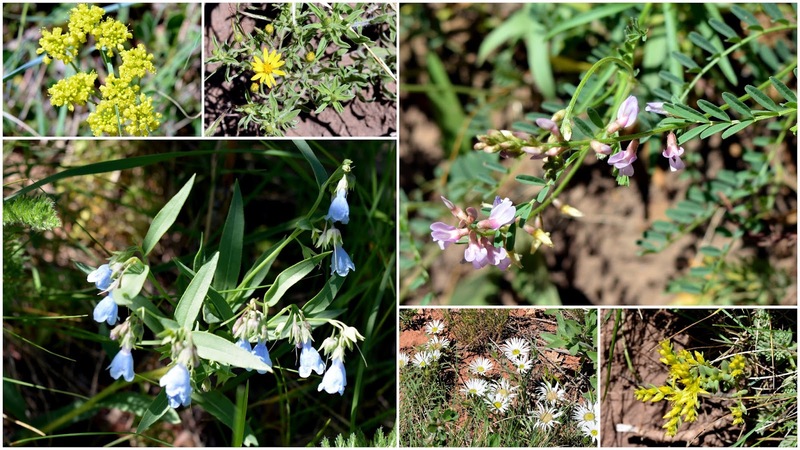 We saw many pretty delicate wildflowers in this area of the trail. As we reached the crest of the Columbine Trail to cross over the Lyons Back, we could see a Lockhead Marten Space Systems Company in the distance, and a portion of South Valley Park ahead. 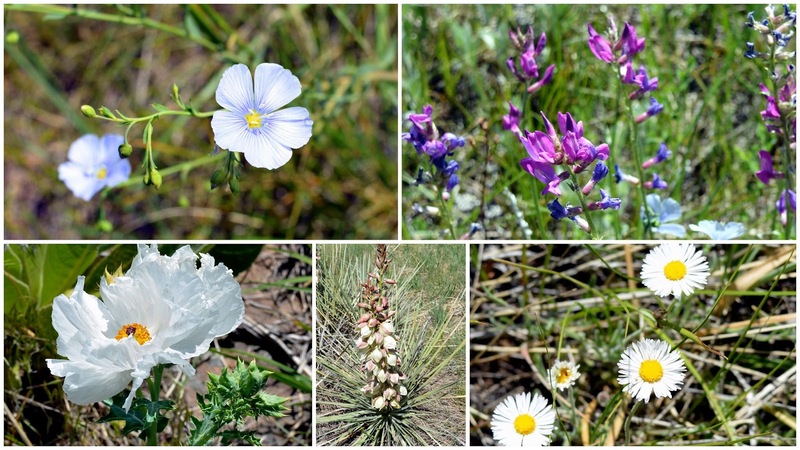 There were cactus flowers and other beautiful and colorful wildflowers at this point. ...with rock steps to aide in the footing. Looking back you can see the Lyons Hogback and signs that show that now this portion of the trail connects with Coyote Song Trail in South Valley Park. I've blogged about the entire Coyote Song Trail on this post. 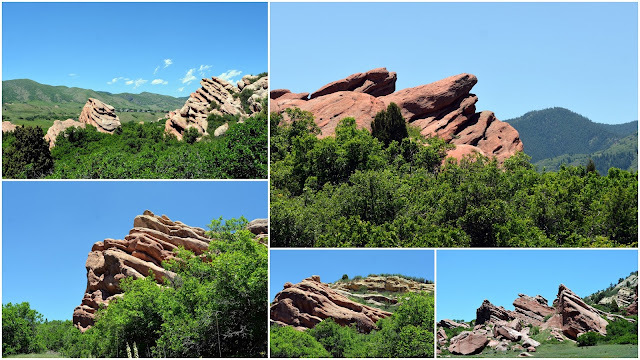 There are many stunning red rock formations on South Valley Park. It is interesting to see how this land that was hundreds of millions of years ago the shoreline of a sea, and was uplifted by geological forces that lasted for 150 million years. Archaeological evidence in this area also points to hunter gatherer people occupying the South Valley 7,500 years before the pyramids of Egypt were built! These red rock formations also provided shelter for early Native Americans. As we approach the end of Coyote Song Trail and South Valley Park, houses in my community can be seen over the ridge. ...and turned back towards home in front of the Dakota Hogback. It was a pleasant hike so close to home and filled with beautiful views and exquisite wildflowers. How fortunate I feel to be able to experience all this beauty, almost in my own backyard!